A six-year research project has followed the development and impact of six REDD+ pilot projects in four countries. Speakers will share their experiences regarding the processes of establishing new institutions, the cost of creating and managing the pilot projects, and give an evaluation of the impact of REDD+ on deforestation and livelihoods. Findings will be shared with researchers, policy makers and civil society stakeholders. Presentations by the researchers will be followed by a Q&A session and discussions of the findings. 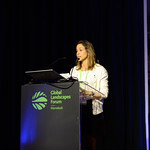 Anne Larson conducts research on multiple aspects of forest and landscape governance policy and institutions, from local to international scales. She coordinates fieldwork in Peru, Nicaragua, Mexico, Tanzania, Uganda, Ethiopia, Indonesia and Vietnam. 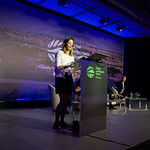 Current research priorities include opportunities and challenges for forest tenure reforms; women’s rights to land in communal forests; and multilevel governance, REDD+ and low emissions development. 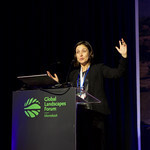 Anne is a member of the council of the International Association for the Study of the Commons (IASC) and represents CIFOR to the Rights and Resources Initiative (RRI). Prior to obtaining her PhD in 2001, she worked as a journalist, activist and lobbyist. 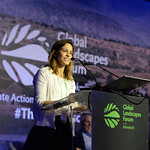 She obtained her undergraduate degree in Environmental Science from Stanford University and her PhD in from UC Berkeley in Wildland Resource Science.